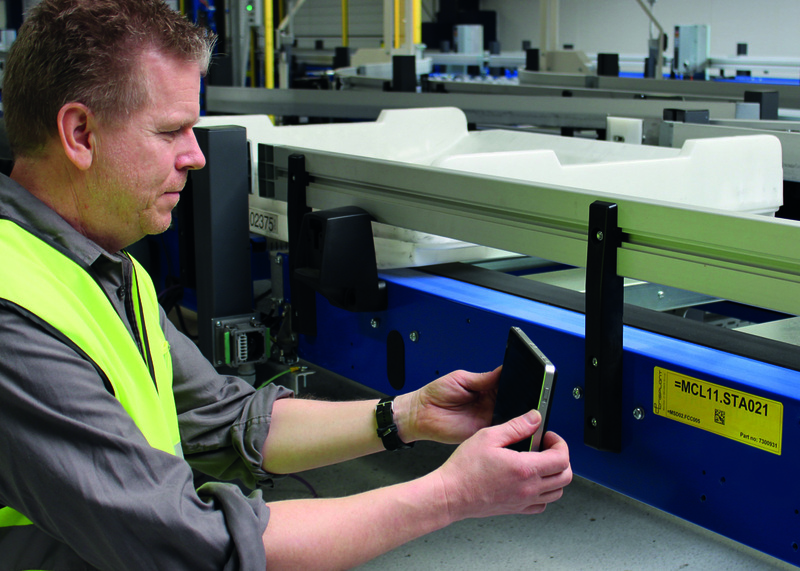 For BEUMER Group, Customer Support is much more than just a service. While it was once enough to “simply” prevent or quickly solve malfunctions and machine downtimes, the intralogistics provider has now significantly extended this service. Approximately 1,000 employees worldwide now work for this business segment. They take care of the customer, starting with the first project discussion, up until the system is in operation. Customer support comprises different types of agreements. With its Residential Service, the group assumes, for example, the responsibility to provide trouble-free operation on site, even for the long-term. What makes for a good relationship between the user and the supplier? For Kornelius Thimm, the answer is simple. “We have customers that have been loyal to us for decades. This is certainly based on mutual trust,” the Director of Customer Support at BEUMER Group is convinced. Because our systems and machines run reliably. His colleagues take care to ensure a high level of system availability for the entire running time. “Our customers know that we would never leave them out in the rain,” adds Kornelius Thimm. Fig. 1: The highly qualified personnel of the BEUMER Customer Support offers technical support and machine maintenance world-wide. As an international manufacturing leader in intralogistics providing customised system solutions in the fields of conveying, loading, palletising, packaging, sortation and distribution technology, BEUMER Group knows the particular challenges posed by the customers. Its clients have ever increasing demands on machine availability and, therefore, on customer support. This is why BEUMER Group has developed and extended its customer support and established it as a business segment in its own right. Due to its global positioning, the group has consistently optimised and extended this segment with specifically trained employees during the last few years. “We’re not only providing service products, we really take care,” emphasises Kornelius Thimm. This becomes more and more important to users from different industries. It is not always only about preventing malfunctions and machine breakdowns, which would lead to long downtimes. No matter what industry, companies have to meet the ever increasing market demands and improve the capacity of the equipment, for example. “And we take care of this,” the service director promises. Fig. 2: When necessary, the technicians arrive quickly on site to prevent long downtimes. Customer Support offers different types of agreements. They are matched individually to the respective needs of the customer, and the service intervals as well as the response times are agreed by contract. BEUMER employees develop the concepts individually with the customer, and adjust them so they meet exactly their requirements. In the event of a system standstill, qualified Customer Support technicians arrive quickly on site to prevent long downtimes. Customer Support offers around-the-clock telephone support every day of the year worldwide, helping further reduce downtime to a minimum. The technicians perform remote analyses, indicate corrective measures and offer quick and reliable solutions to correct any malfunction. The systems can be put quickly back in service. Additionally, we will also find the cause for the malfunction to prevent it from happening again. Fig. 3: Customers can hand over to BEUMER Group the complete responsibility for availability, performance and economic efficiency of their systems. One component of Customer Support is spare parts logistics. 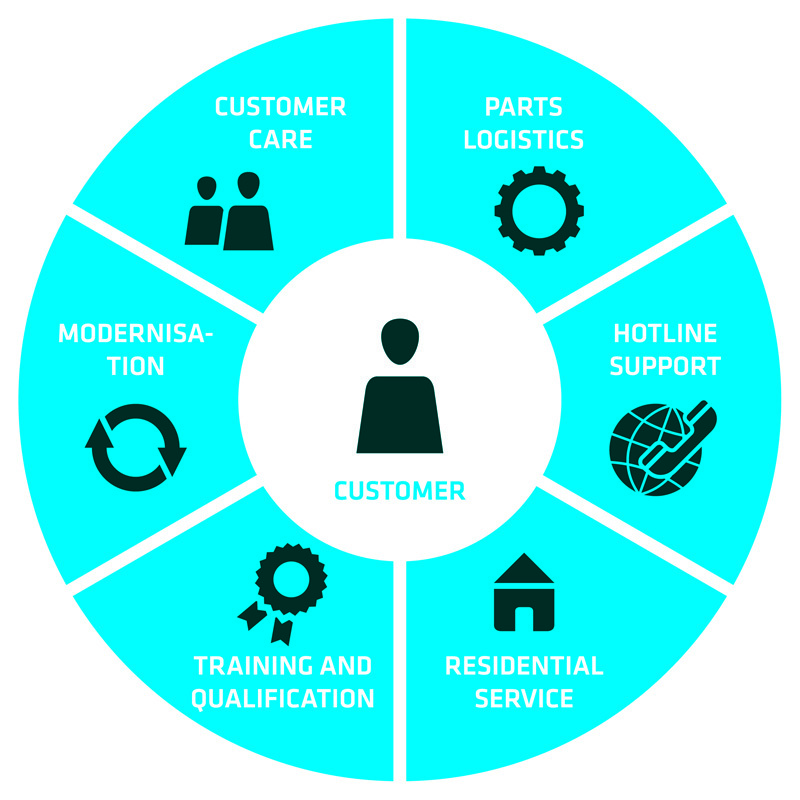 If customers decide to use this service, the service employees check the wear parts and spare parts at regular intervals and provide the supplies for the entire service life of the machine. “Already when selling the new system, we advise the customer which spare parts to keep in stock,” says Kornelius Thimm. “In case of parts for machine types that are to be discontinued, we inform the customer in time and consult them regarding replacement or exchange possibilities.” Personal contacts offer technical support for all inquiries. During the maintenance of the machines, the customer support employees check whether or not there are parts to be replaced. If spare parts are required, BEUMER Group provides a quick delivery. In order for the machines to run for the maximum operating time, users need to be trained at regular intervals. 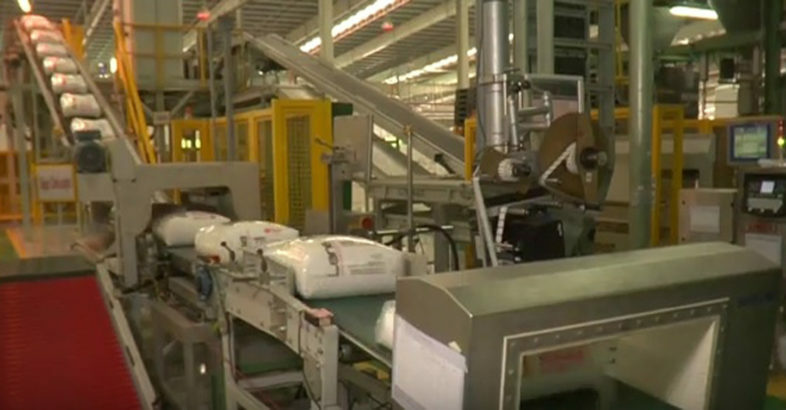 The performance of the machines also depends on maintenance and on how they are operated by the customer personnel. The employees who work with the machines are brought up to date, and new employees are introduced to the systems. Training is required for the initial installation, as well as a follow-up several months after the system has been running. At this time, the customer has the opportunity to ask questions related to their specific needs. “The training programmes are tailor-made for the customer and their systems”, Kornelius Thimm points out. The users’ expertise is maintained through the technical consultation by our Customer Support employees. Customer Support offers basic trainings up to continuing education. They are tailor-made to meet the customers needs and are held for machines and systems of BEUMER Group as well as of other manufacturers. This is how the group ensures high health and safety standards. Experienced specialists impart detailed knowledge and structured procedures for successful maintenance and for the operation of the systems. This is particularly important for machine operators, because mechanics and control technology is becoming increasingly elaborate and sophisticated. 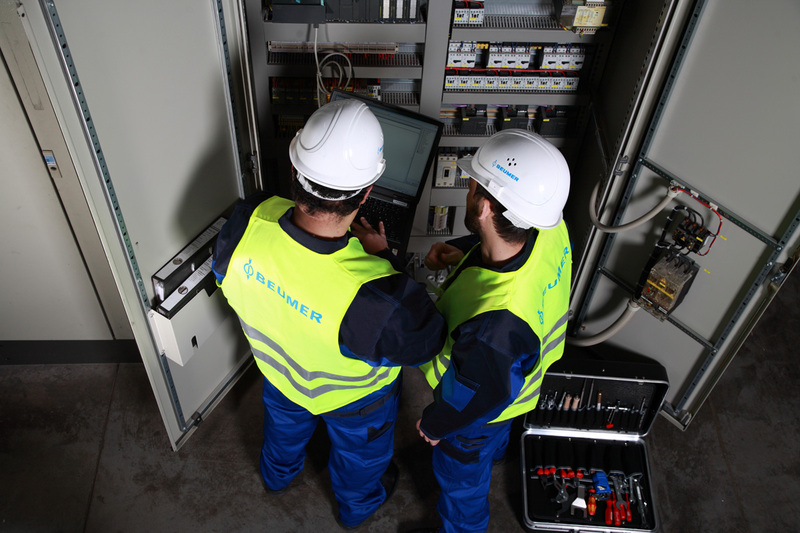 In order to meet future performance and technology requirements, BEUMER Customer Support employees ensure that the machines are always up-to-date. 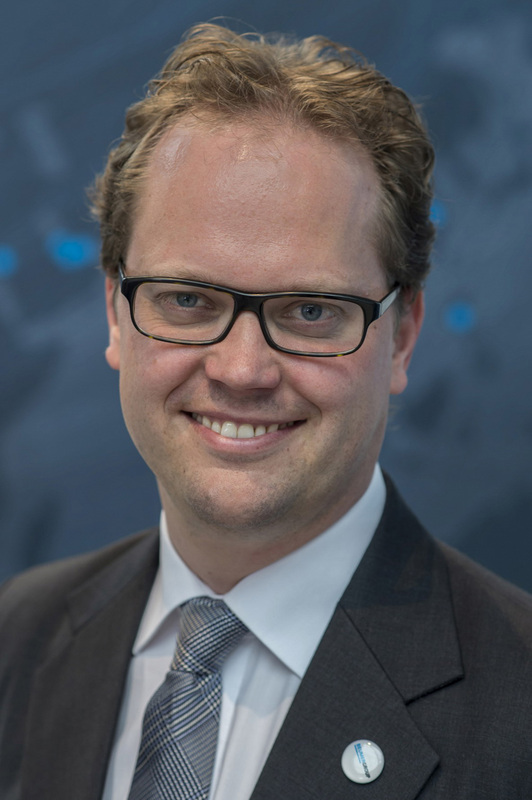 “We make sure that the machines are comprehensively modernised,” says Kornelius Thimm. This means higher performance and availability, minimised energy consumption, more ergonomic working conditions, new functions and a better overall system utilisation. For this, the employees can update or upgrade the systems. Fig. 4: The whole is greater than the sum of its parts: Customer Support offers different agreements that are matched individually to the respective needs of the customer. A particularly important part of this business segment is the Residential Service. Customers can hand over the responsibility to BEUMER Group for availability, performance and economic efficiency of their filling, palletising and packaging technology, but also for sortation and distribution systems in logistic centres and airports. 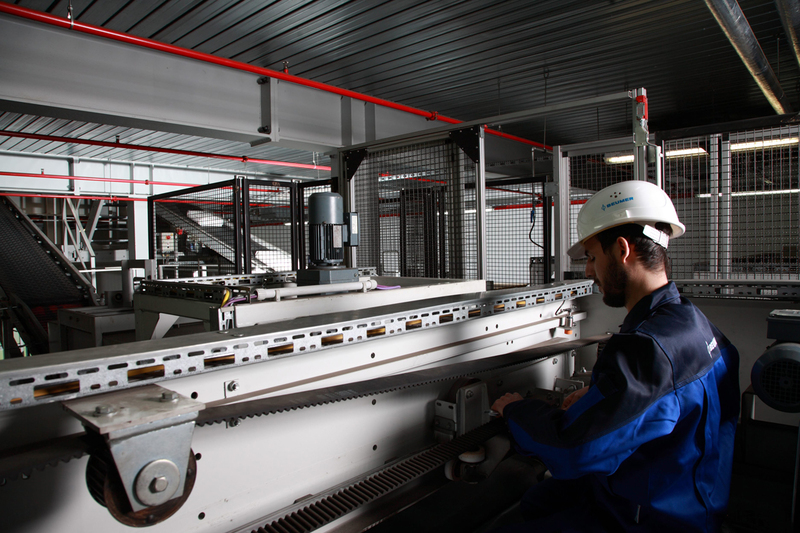 BEUMER Group employees carry out the maintenance with profound logistical and technical expertise, ensuring high levels of machine efficiency. If required, BEUMER Group appoints a team of specialists which will ensure proper operation and availability of the entire system on site. BEUMER Group believes that the customer should have access to a Customer Support technician that originates from the same cultural background and speaks the same language. “For this reason we cannot just send colleagues from Beckum to Singapore”, says Thimm. Successful customer support requires an understanding of the mentality of the customer: How is the customer positioned? What are his goals and how does he want to develop in the future? These questions require tactfulness and cultural know-how. The BEUMER Group is an international leader in the manufacture of intralogistics systems for conveying, loading, palletising, packaging, sortation and distribution. Together with Crisplant a/s and Enexco Teknologies India Limited, the BEUMER Group employs 4,000 people worldwide, and achieves an annual turnover of about 700 million EUR. With its subsidiaries and sales agencies, the BEUMER Group serves customers around the globe, across a wide range of industries.